Cape Perpetua is located about 2 miles (3.2 km) south of Yachats, Oregon, along U.S. Route 101. It is a typical Pacific Northwest headland, forming a high steep bluff above the ocean. 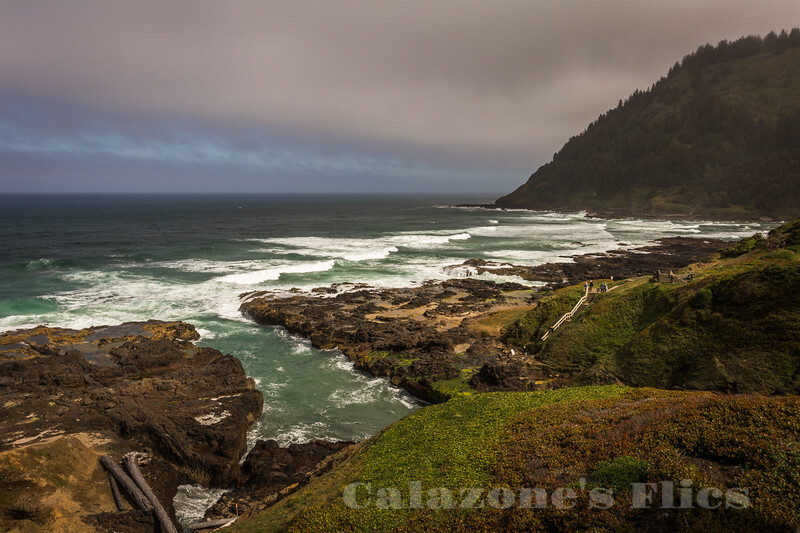 At its highest point, Cape Perpetua rises to over 800 feet (240 m) above sea level. From its crest, an observer can see 70 miles (110 km) of Oregon coastline and as far as 37 miles (60 km) out to sea on a clear day.